Love Boat is the fourth performance in Leena Kela’s ongoing performance series Water-Resistant. During the series, Kela has embarked on a journey from the depths of the sea into the zero gravity of space. As the character Julie McCoy, a cruise hostess with a wide smile, Kela invites the audience to set the course for adventure. Love Boat concentrates on the experience and effects of chaos in life and love, those surprising incidents that a cruise can offer. By sailing along the surface where water and air meet, the journey moves along that mythical realm between the conscious and the subconscious. Leena Kela is an interdisciplinary artist who works in performance art, photography, video and pedagogy. 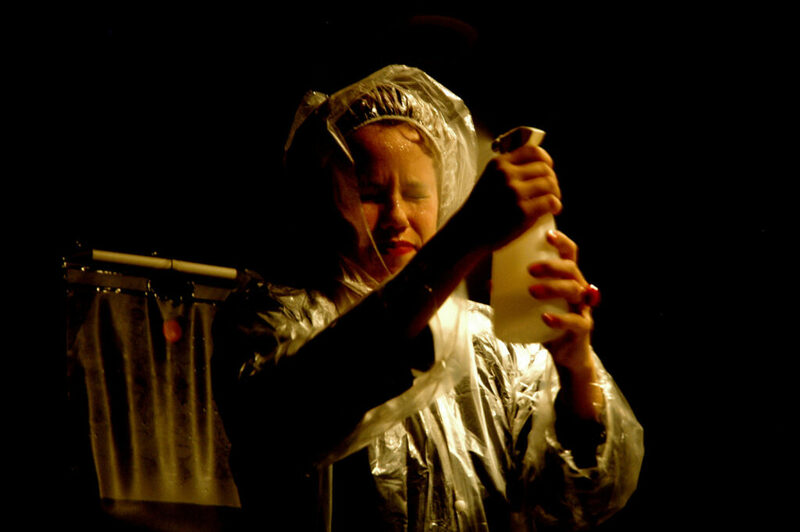 Her performances have been presented in a number of contexts in Finland and international performance art festivals including Body Navigation (St. Petersburg, 2006), Face to Face (La Bisbal, Spain, 2006), Movement to Performance (Finland, 2005), Castle of Imagination (Poland, 2005), Performer Stammtich (Berlin, 2004), Gallery 21m2 (Stavanger, Norway, 2004), and the 9th International Congress for Performance Art (Berlin, 2003).